Not to be confused with Pomerania. Pomerelia (Latin: Pomerelia; German: Pomerellen, Pommerellen), also referred to as Eastern Pomerania (Polish: Pomorze Wschodnie) or as Danzig Pomerania (Polish: Pomorze Gdańskie), is a historical region in northern Poland. Pomerelia lay on the southern shore of the Baltic Sea, west of the Vistula river and east of the Łeba river. Its biggest city was Gdańsk. Since 1999 the region has formed the core of the Pomeranian Voivodeship. Gdańsk Pomerania is traditionally divided into Kashubia and Kociewie. In its early history, the territory which later became known as Pomerelia was the site of the Pomeranian Culture (also called the Pomerelian face urn culture, 650-150 BC), the Oksywie culture (150 BC-AD 1, associated with parts of the Rugii and Lemovii), and the Wielbark Culture (AD 1-450, associated with Veneti, Goths, Rugii, Gepids). In the mid-6th century Jordanes mentioned the Vistula estuary as the home of the Vidivarii. 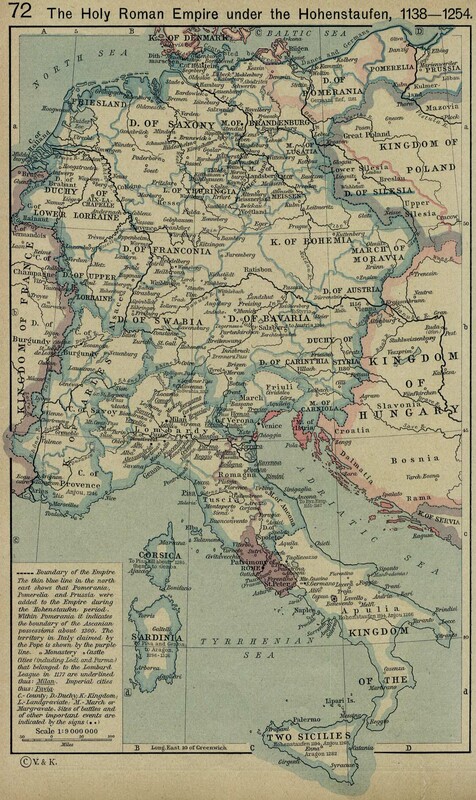 Pomerelia was settled by West Slavic tribes in the 7th and 8th centuries. For a list of Polish monarchs, see List of Polish monarchs. In the tenth century, Pomerelia was already settled by Slavic Pomeranians. The area was conquered and incorporated into early medieval Poland either by Duke Mieszko I – the first historical Polish ruler - in the second half of the tenth century or even earlier, by his father, in the 940s or 950s – the date of incorporation is unknown. Mieszko founded Gdańsk to control the mouth of the Vistula between 970 and 980,. According to Józef Spors, despite some cultural differences the inhabitants of the whole of Pomerania had very close ties with residents of other Piast provinces, from which Pomerelia was separated by large stretches of woodlands and swamps. The Piasts introduced Christianity to pagan Pomerelia, though it is disputed to what extent the conversion materialized. In the eleventh century the region had loosened its close connections with the kingdom of Poland and subsequently for some years formed an independent duchy. Most scholars suggest that Pomerelia was still part of Poland during the reign of king Bolesław I of Poland and his son Mieszko II Lambert. However, there are also different opinions e.g. Peter Oliver Loew suggests the Slavs in Pomerelia severed their ties with the Piasts and reverted the Piasts' introduction of Christianity already in the first years of the 11th century. The exact date of separation is however unknown. It was suggested that the inhabitants of Pomerelia participated in the Pagan reaction in Poland, actively supported Miecław who intended to detach Masovia from the power of the rulers of Poland, but after the defeat of Miecław in 1047 accepted the rule of duke Casimir I the Restorer and that the province remained a part of Poland till the 1060s, when Pomerelian troops took part in the expedition of the Polish king Bolesław II the Generous against Bohemia in 1061 or 1068. Duke Bolesław suffered a defeat during the siege of Hradec and had to retreat to Poland. Soon after Pomerelia separated from his realm. A campaign by Piast duke Władysław I Herman to conquer Pomerelia in 1090–91 was unsuccessful, but resulted in the burning of many Pomerelian forts during the retreat. In 1116 direct control over Pomerelia was reestablished by Bolesław III Wrymouth of Poland, who by 1122 had also conquered the central and western parts of Pomerania. While the latter regions (forming the Duchy of Pomerania) regained independence quickly, Pomerelia remained within the Polish realm. It was administered by governors of a local dynasty, the Samborides, and subordinated to the bishopric of Włocławek. In 1138, following the death of Bolesław III, Poland was fragmented into several semi-independent principalities. The principes in Pomerelia gradually gained more local power, evolving into semi-independent entities, much like other fragmented Polish territories, with the difference that the other parts of the realm were governed by Piast descendants of Bolesław III. The Christian centre became Oliva Abbey near Gdańsk. Two Samborides administering Pomerelia in the 12th century are known by name: Sobieslaw I and his son, Sambor I. In 1210, king Valdemar II of Denmark invaded Pomerelia, whose princeps Mestwin I became his vassal. The Danish suzerainty did however not last long. Mestwin had already gained more independence from Poland and expanded southward, and his son Swietopelk II, who succeeded him in 1217, gained full independence in 1227. After Mestwin I's death, Pomerelia was internally divided among his sons Swietopelk II, Wartislaw, Sambor II and Ratibor. Swietopelk II, who took his seat in Gdańsk, assumed a leading position over his brothers: Sambor II, who received the castellany of Lubieszewo (the center later moved to Tczew), and Ratibor, who received the Białogard area, were initially under his tutelage. The fourth brother, Wartislaw, took his seat in Świecie, thus controlling the second important area besides Gdańsk. Wartislaw died before 27 December 1229, his share was to be given to Oliva Abbey by his brothers. The remaining brothers engaged in a civil war: Sambor II and Ratibor allied with the Teutonic Order and the Duke of Kuyavia against Swietopelk, who in turn allied with the Old Prussians, took Ratibor prisoner and temporarily assumed control over the latter's share. The revolt of the Old Prussians against the Teutonic Order in 1242 took place in the context of these alliances. Peace was restored only in the Treaty of Christburg (Dzierzgoń) in 1249, mediated by the later pope Urban IV, then papal legate and archidiacone of Lüttich (Liege). In the west, the Pomerelian dukes' claim to the lands of Schlawe (Sławno) and Stolp (Słupsk), where the last Ratiboride duke Ratibor II had died after 1223, was challenged by the Griffin dukes of Pomerania, Barnim I and Wartislaw III. In this conflict, Swietopelk II initially won the upper hand, but could not force a final decision. Swietopelk II, who styled himself dux. since 1227, chartered the town of Gdańsk with Lübeck law and invited the Dominican Order. His conflicts with the Teutonic Order, who had become his eastern neighbor in 1230, were settled in 1253 by exempting the order from the Vistula dues. With Swietopelk II's death in 1266, the rule of his realm passed to his sons Wartislaw and Mestwin II. These brothers initiated another civil war, with Mestwin II allying with and pledging allegiance to the Brandenburg margraves (Treaty of Arnswalde/Choszczno 1269). The margraves, who in the 1269 treaty also gained the land of Białogard, were also supposed to help Mestwin II securing the lands of Schlawe (Sławno) and Stolp (Słupsk), which after Swietopelk II's death were in part taken over by Barnim III. With the margraves' aid, Mestwin II succeeded in expelling Wartislaw from Gdansk in 1270/71. The lands of Schlawe/Slawno however were taken over by Mestwin II's nephew Wizlaw II, prince of Rügen in 1269/70, who founded the town of Rügenwalde (now Darlowo) near the fort of Dirlow. In 1273 Mestwin found himself in open conflict against the margraves who refused to remove their troops from Gdańsk, Mestwin's possession, which he had been forced to temporarily lease to them during his struggles against Wartisław and Sambor. Since the lease had now expired, through this action, the Margrave Conrad broke the Treaty of Arnswalde/Choszczno and subsequent agreements. His aim was to capture as much of Mestwin's Pomerelia as possible. Mestwin, unable to dislodge the Brandenburgian troops himself called in the aid of Bolesław the Pious, whose troops took the city with a direct attack. The war against Brandenburg ended in 1273 with a treaty  (possibly signed at Drawno Bridge), in which Brandenburg returned Gdańsk to Mestwin while he paid feudal homage to the margraves for the lands of Schlawe (Sławno) and Stolp (Słupsk). On February 15, 1282, High Duke of Poland and Wielkopolska Przemysł II and the Duke of Pomerelia Mestwin II, signed the Treaty of Kępno which transferred the suzerainty over Pomerelia to Przemysł. As a result of the treaty the period of Pomerelian independence ended and the region was again part of Poland. Przemysł adopted the title dux Polonie et Pomeranie (Duke of Poland and Pomerania). Mestwin, per the agreement, retained de facto control over the province until his death in 1294, at which time Przemysł, who was already the de jure ruler of the territory, took it under his direct rule. After the death of Mestwin II of Pomerania in 1294, his co-ruler Przemysł II of Poland, according to the Treaty of Kępno, took control over Pomerelia. He was crowned as king of Poland in 1295, but ruled directly only over Pomerelia and Greater Poland, while the rest of the country (Silesia, Lesser Poland, Masovia) was ruled by other Piasts. However, Przemysł was murdered soon afterwards and succeeded by Władysław I the Elbow-high. Władysław, sold his rights to the Duchy of Kraków to King Wenceslaus II of Bohemia in 1297 and accepted him as his suzerain in 1299. However he lost control of Greater Poland and Pomerelia in 1300 after a nobility revolt. These were captured by Wenceslaus who now, after gaining most of the Polish lands, was crowned in Gniezno as king of Poland by archbishop Jakub Świnka Upon the deaths of Wenceslaus and his successor Wenceslaus III and with them the extinction of the Přemyslid dynasty, Pomerelia was recaptured by Władysław I the Elbow-high in 1306. During Władysław's rule, the Margraviate of Brandenburg staked its claim on the territory in 1308, leading Władysław I the Elbow-high to request assistance from the Teutonic Knights, who evicted the Brandenburgers but took the area for themselves, annexing and incorporating it into the Teutonic Order state in 1309 (Teutonic takeover of Danzig (Gdańsk) and Treaty of Soldin/Myślibórz). At the same time, Słupsk and Sławno became part of the Duchy of Pomerania. This event caused a long-lasting dispute between Poland and the Teutonic Order over the control of Gdańsk Pomerania. It resulted in a series of Polish–Teutonic Wars throughout 14th and 15th centuries. Pomerelia was made part of Polish Royal Prussia as the Pomeranian Voivodeship in 1466. Lauenburg and Bütow Land was a Polish fief ruled by Pomeranian dukes. In early modern times Gdańsk was the biggest city of the Polish-Lithuanian Commonwealth, and most of its exports (especially grain) were made through the port. 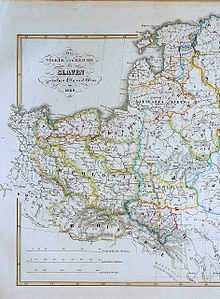 Gdańsk and Żuławy Wiślane were German/Dutch Lutheran or Reformed, while most of the region remained Polish/Kashubian Catholic. In the 17th century Pomerelia was attacked and destroyed by a Swedish army. As part of Royal Prussia, Pomerelia was annexed by the Kingdom of Prussia during the 18th century Partitions of Poland, becoming part of the new Province of West Prussia. After World War I (1914–1918), the Treaty of Versailles transferred most of the region from Weimar Germany to the new Second Polish Republic, forming the Pomeranian Voivodeship (Greater Pomerania as of 1938) in the so-called Polish Corridor. Gdańsk with Żuławy became the Free City of Danzig. In 1939 Pomerelia was occupied and illegally annexed by Nazi Germany, but in 1945 it returned to Poland, while Germans escaped and were expelled. After the war it has been roughly similar to Gdańsk Voivodeship, as well as the dioceses of Gdańsk and Pelplin. Administrative divisions and languages in West Prussia, which included Pomerelia according to falsified German census of 1910;the numbers in the census included German military stationed in the region, as well as civil clerks and officials, who were settled as part of German state's official policy of Germanisation of Polish areas.Bi-lingual Poles who knew German were classified as Germans . Starting in the High Middle Ages, Pomerelia was settled with many German and Dutch settlers during the Ostsiedlung. German Pomeranians dominated in many towns, while in the rural areas the descendants of the Kashubians and Slavic Pomeranians dominated (i.e. Kociewiacy, and Borowiacy) most of whom considered themselves Poles. [disputed – discuss] The Vistula delta was settled by the Vistula Germans after the Teutonic takeover of Danzig (Gdańsk) when many former inhabitants were murdered during the Gdańsk massacre. During the period of Partitions of Poland the number of German inhabitants rose, due to the German state's official policy of Germanisation. This was halted after most of Pomerelia formed a part of the reborn Polish state, when many clerks and officials as well as German military had left Pomerelia. Following Nazi Germany's defeat in World War II, the remaining German population fled or was forcibly expelled. Settlement of Latvian speaking Kursenieki along the coast of Baltic Sea extended into Pomerelia, reaching the hinterlands of Gdańsk in 1649. Eventually Germanization as well as the events of the first half of the 20th century, including the Soviet and German occupations of the Baltic States and later East Prussia, led to the near extinction of the language, making it severely endangered. Several remaining native speakers still live in Germany, having been expelled in the ethnic cleansing that took place in East Prussia after World War II. ^ a b c d e Loew, Peter Oliver: Danzig. Biographie einer Stadt, Munich 2011, p. 32. ^ Machilek, Franz: Strukturen und Repräsentanten der Kirche Polens im Mittelalter, in Dietmar Popp, Robert Suckale (eds. ): Die Jagiellonen. Kunst und Kultur einer europäischen Dynastie an der Wende zur Neuzeit (Wissenschaftliche Beibände zum Anzeiger des Germanischen Nationalmuseums, Bd. 21), Nürnberg 2002, pp. 109–122; 109. ^ Loew, Peter Oliver: Danzig. Biographie einer Stadt, Munich 2011, p. 32; while James Minahan, One Europe, Many Nations: A Historical Dictionary of European National Groups, Greenwood Publishing Group, 2000, p. 375 generally speaks of the 11th century. ^ J. Spors (in:) J. Borzyszkowski (red.) Pomorze w dziejach Polski, Nr 19 - Pomorze Gdańskie, Gdańsk 1991, p. 73, B. Śliwiński (red.) Wielka Historia Polski, t. I do 1320, Kraków 1997, p. 89-90. Both these authors connect the unsuccessful campaign against he Czechs with the loss of Pomerelia. ^ Andrzej Chwalba (2000). Wydawnictwo Literackie (ed.). Kalendarium Historii Polski (in Polish). Kraków. pp. :45. ISBN 83-08-03136-6. ^ Andrzej Chwalba (2000). Wydawnictwo Literackie (ed.). Kalendarium Historii Polski (in Polish). Kraków. pp. :45–56. ISBN 83-08-03136-6. ^ Andrzej Chwalba (2000). Wydawnictwo Literackie (ed.). Kalendarium Historii Polski (in Polish). Kraków. pp. :58. ISBN 83-08-03136-6. ^ a b c d e f Loew, Peter Oliver: Danzig. Biographie einer Stadt, Munich 2011, p. 33. ^ a b c Lingenberg, Heinz: Die Anfänge des Klosters Oliva und die Entstehung der deutschen Stadt Danzig. Die frühe Geschichte der beiden Gemeinwesen bis 1308/10 (Kieler historische Studien, Bd. 30), Stuttgart 1982, p. 191. ^ a b c d Hirsch, Theodor et al. (eds. ): Scriptores rerum Prussicarum, vol. 1, Leipzig 1861, pp. 67, 686-687. ^ a b Schmidt, Roderich: Das historische Pommern. Personen, Orte, Ereignisse, Köln/Weimar 2007, pp. 141-142. ^ a b Schmidt, Roderich: Das historische Pommern. Personen, Orte, Ereignisse, Köln/Weimar 2007, p. 143. ^ Full text of the treaty of Drage Bridge (1273) (in Latin) in Morin FH (1838): Codex diplomaticus Brandenburgensis I, p. 121. ^ a b Muzeum Historii Polski (2010). "Układ w Kępnie między Przemysłem II a Mszczujem II Pomorskim". Muzhp.pl. Retrieved 2011-09-11. ^ Aneta Kwiatkowska (March 12, 2008). "O przesławnych książętach pomorskich". dziedzictwo.polska.pl. Archived from the original on 20 April 2010. Retrieved 11 September 2011. ^ Andrzej Chwalba (2000). Wydawnictwo Literackie (ed.). Kalendarium Historii Polski (in Polish). Kraków. pp. :70–71. ISBN 83-08-03136-6. ^ Andrzej Chwalba (2000). Wydawnictwo Literackie (ed.). Kalendarium Historii Polski (in Polish). Kraków. pp. :71. ISBN 83-08-03136-6. This page was last edited on 29 March 2019, at 14:01 (UTC).